Homeowners living in Wheat Ridge and Arvada face different challenges when maintaining their landscape than their mountain neighbors. Residents of these areas face the threat of Emerald Ash Borer (EAB) or other insects (i.e. wood-boring beetle) infesting their landscape among other things. If you are looking to complete a fire mitigation/tree removal project or need crane services, please give a member of the Splintered Forest crew a call today for a free, written estimate. 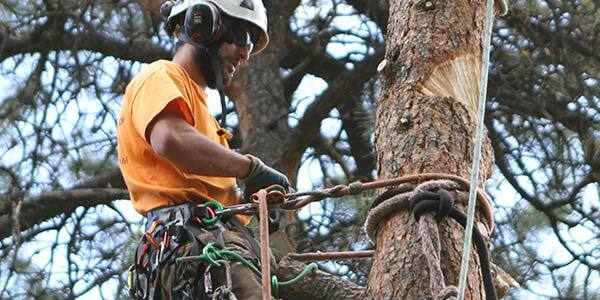 Splintered Forest understands that tree service needs are different for properties located in Wheat Ridge or Arvada than those located in neighboring towns such as Evergreen or Conifer. To help assist homeowners (or business owners), Splintered Forest has an ISA Certified Arborist on staff that is committed to urban forestry and creating individual plans for each property. 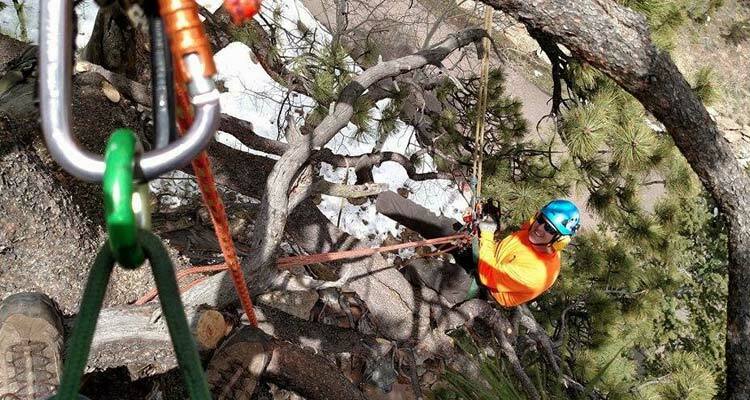 The Splintered Forest crew also has the unique option of using our knuckle boom crane to remove dead or dying trees in tight areas where it is impossible to fell the tree and aerial lifts (bucket trucks) can’t reach.